If you have had an accident in Lisburn or elsewhere and it was not your fault the you could be owed compensation. Our Lisburn personal injury team of solicitors are experts in getting people like you the compensation and justice they deserve for their personal injury. By working with our specialist personal injury solicitors for Lisburn, you will have the very best chance of securing the compensation that you may be owed because of the personal injury that you suffered. Every one of our solicitors have a wealth of experience in the personal injury field and will do everything that they can to ensure that your claim is settled successfully and you receive the maximum amount of compensation. What Types Of Claims Do Our Lisburn Personal Injury Team Deal With? Accidents at work – falls from height, machinery accidents, trips slips and falls etc. Road traffic accidents – Injuries sustained as a driver, passenger or pedestrian on the road. Public accidents – Slips, trips and falls in public places such as supermarkets, the street, shops and bars for example. Product liability accidents – Injuries sustained by defective products can include electrocution from faulty electrical goods or burns from faulty hair dye. Injuries sustained at the dentist – Dental injuries sustained whilst having fillings or other work done. Clinical and medical negligence – This could include medical misdiagnosis, surgical injuries. Armed forces injuries – Injuries sustained whilst in the service of the army, Royal Navy or the Royal Air Force. Industrial diseases – Diseases sustained in the workplace such as industrial asthma or asbestosis. No, you do not need a solicitor. You can make a claim directly but we would strongly advise against doing so. The fact is that personal injury law can be complex and confusing. You’ll be up against the defendant’s solicitors who will do everything in their power to ensure they defend the claim vigorously and make sure it is unsuccessful for you. If you want the best chance of your claim succeeding then quite simply you have to instruct a specialist personal injury solicitor. You won’t regret it. Can I Afford To Use A Personal Injury Solicitor? Yes. Like most law firms, we work on a No Win No Fee basis, which is also known as a Conditional Fee Agreement. This means that there will only be a fee to pay us if you win your personal injury case, and then it will be an agreed fixed fee percentage of your claim. If you do not win your claim then you will have absolutely nothing to pay. That means that there is absolutely no risk in taking out a personal injury claim with our law firm. Is It a Lot Of Hassle To Take Out a Personal Injury Claim? We’ll be honest as always and make clear that there may be a little bit of initial inconvenience when taking out a claim. There will be various forms to read and complete and you’ll need to get together particular bits of documentation. You may also need to visit a local medical centre (we arrange this for you) so they can compile a report of your injuries. However, once all this has been done, the vast majority of everything will be done by ourselves and you’ll simply receive regular updates so overall there is very little hassle in making a claim. There are very strict time limits involved in personal injury cases and a personal injury claim must be resolved within three years from the date of the injury or that proceedings have commenced in court within that time period. It is very unlikely that you will have to go to court because most cases don’t actually get to that stage, the vast majority of them being settled out of court before this is needed. This is because it is not in the insurer’s interests to settle in court because if they lost they are liable for legal costs on both sides. It is impossible to say how long individual claims take to settle because it depends upon how complex the case is as well as a great deal of other factors. However, what we can say is that most cases tend to settle within twelve months although some may take a little longer. We always deal with everything in a timely manner to ensure that your case settles for the maximum amount of money in as short a time as possible. What Can I Actually Claim For? 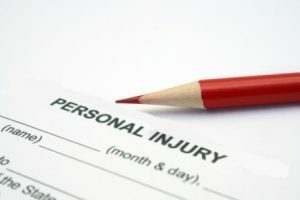 As part of a personal injury claim, there are two main types of claim award. Firstly there are general damages. These are awards for pain, suffering and loss of amenity. This compensates you for the suffering you have encountered such as whiplash, broken bones or strained muscles and can also include psychological injuries. Secondly there are special damages. These damages relate to out of pocket expenses that you may have incurred (past or future) related to your accident. This isn’t a question that can be answered with any fixed amount because all personal injury claims are different. As well as accidents taking place in different circumstances, injuries can be of varying severity and costs incurred such as loss of earnings wildly. What we can say is that you can rest assured that your Lisburn personal injury team will do all we can to get the maximum amount of money possible for your claim. For a general idea of what your personal injury compensation could be worth please take a look at our compensation calculator page. How Do I Start My Claim With Our Lisburn Team? Starting a claim with our Lisburn personal injury team is really easy. All you have to do is call 0800 073 8804 or complete the contact form and you will soon be speaking to an experienced personal injury specialist who will assess your claim and see if you have a case for compensation. If you do, it’s just a case of completing some forms and we’ll get your case started and soon you could have the compensation and justice that you deserve.